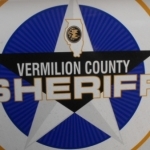 Westville Police and Vermilion County Sheriff’s Investigators are probing a potential threat to student safety at Westville High School. Superintendent Dr. Seth Miller says law enforcement was notified immediately after the threat was received late Wednesday. The Westville Superintendent adds school officials have been assured by law enforcement that the school is safe and there is no imminent threat to the students, staff or community. ‘’We are thankful for the quick and thorough response of Westville Police and Vermilion County Sheriff’s Department Investigators for their assistance throughout the evening and today,’’ said Dr. Miller in a statement released this morning (Thursday, January 24, 2019). The Westville Superintendent added the school district has requested additional visibility and (police) presence for the remainder of the week. Anyone who has information that might help in the investigation into this incident is asked to call Westville Police or the school district’s unit office.